Yes, New maps and Old search would be the best! And opting out may be my forced situation, as much as I would like to be involved in helping with this new feature. Pity we can't switch back and forth to do a true comparison and be able to report that back to the developers. I appeared to be signed up for these new tests on mapping but don't know why? 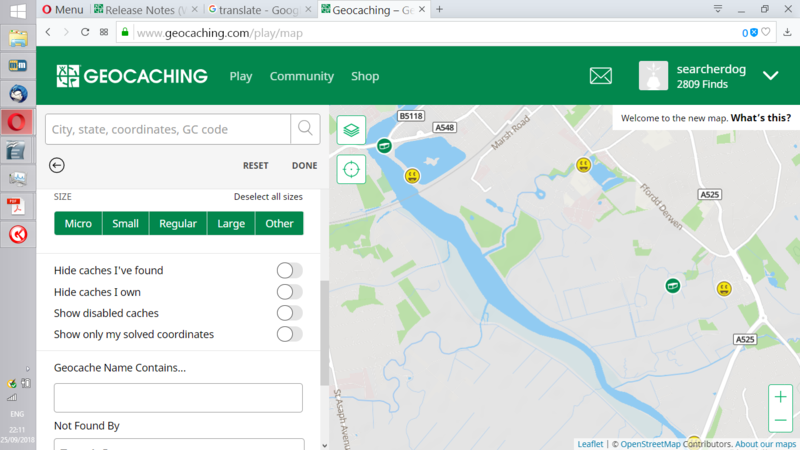 I tried the new maps feature but once again it appears to have removed the ability to use the Geocaching Map Enhancement features that allow us UK cachers to use the OS mapping..... why change things that are working fine? So I have opted out of the tests in the vain hope that things will not cause disruption to an existing solution if and when changes are imposed upon us once again. 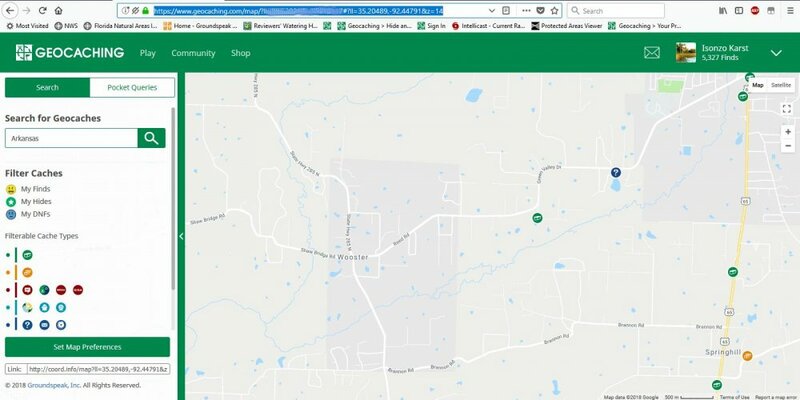 PLEASE CHECK OUT THE GEOCACHING MAP ENHANCEMENTS and ensure that they are compatible with any changes you are planning. Actually while that would be nice, it's not HQ's responsibility to do this - the developer of the extension should (and from my experience certainly is) on top of keeping things compatible with new rolled out updates to gc.com. Once the new map goes live (or maybe even before!) GME will undoubtedly be updated to be compatible again. It would be more beneficial to contact more directly the developers of the GME extension to make sure they're aware of the upcoming new compatibility-breaking gc.com map. Hi again this might cause some laughs for the folks up in Seattle, Washington & HQ. From the initial page I selected regional search of Washington, United States. The map pops up as Washington DC a few thousand miles away. Also when doing a regional search like that it would be great if the entire area is shown not just zoomed into the text of the area. If you do a regional search on United States it zooms into Kansas. It would be great if the entire area is shown rather than having to adjust the view manually. I'm not sure why the decision was made to direct ALL search results to the map view. The list search form was doing just fine with the "Map results" link leading by choice to the map view. The list search page should return as it was, and not force people to use the map version. I'm not part of this test yet, but based on what I've seen in this discussion, I agree. Adding the filters directly to the map page is a great improvement, but there are many reasons why someone might want to use the list page (easier scanning, lower data usage, more data visible, etc.). Both should be available and linked together (ie. do a search in list view and click a link to switch to the map with the same filters applied, and vice versa). 1. When searching, the mapped area (and search results) are for a tiny area. Maybe this is the maximum zoom level? Why not the usual 10 mile radius? 2. The results are sortable by only FP or date placed, instead of the very useful distance from origin, or D/T. 3. When clicking for cache info, it requires at least four clicks to get to the cache page and back to the search map. Old map allows one right click to get the cache page. I regrettably have to drop my trial testing in order to plan for a weekend of caching a few hours from home. I can't find a method with the current configuration of the search function/map to get the results I am able to get using the prior search. If only we could retain the old search function as it is, coupled with some functions of the new map. Actually the really short-sighted part of this test is that I can't switch back and forth from the old and new to be able to give a more accurate comparison. That is really the worst part of the beta testing. Searching through past finds looks to be near impossible can on filter out finds not show only those found. I was trying to determine if I met challenge criteria for a couple of grandfathered challenges that do not have a checker. A lot of these are more fun to work on than the restrictive rules in place now. To me the effort is no different than a challenging puzzle and some of which are near impossible just search your database for unsolved/unfound puzzles. I'll second the filter by distance item mention above and it would be helpful to show distance along with the other information. There isn't a map that will show only your finds - which includes archived caches (only way to be sure of challenges). You need to use your My Finds PQ for that. At least, the old map didn't do that either. 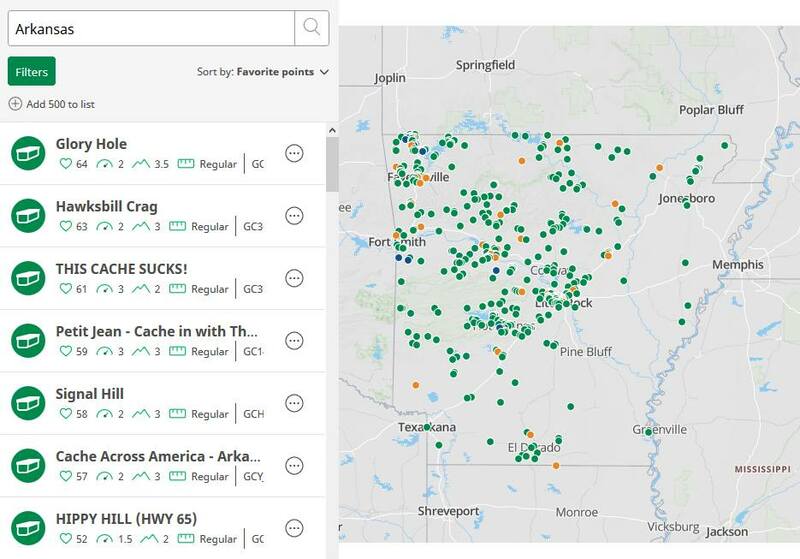 The old search mechanism when selected to filter only my finds would include both active and archived caches on the same map. I've found over the past year or so there is little need of PQs as the functionality is starting to be included elsewhere more elegantly. PQ are the only way to search on attributes but I don't do that often. Not sure if we are talking the same thing, but it only takes three clicks for me. left click on the cache and then left click on the More info arrow to open in new tab. More Info button opens the cache page in the same window, not a new tab. Then click back arrow a couple times to get back to the map & list. Or in your case, add a click to get back from the basic cache info to the list. I really wish we were allowed to switch back & forth to compare the two. I have not opted out as I am curious and had almost finished my holiday planning when the new release hit. The number of comments on this thread seems very low considering the release is nearly 2 weeks old - or is the number of people selected miniscule? I am now finding the speed of loading is very slow as the map has to re-draw every time it moves and it has to move a lot due to the tiny area which is available with the permanent left panel blocking the screen. I wonder how much extra data that uses. I would like to know how we are supposed to use the new maps and screens as these certainly do not suit the way I pick my caches. Are you referring to the map or the search list version? The map (old and new) doesn't show archived finds outside of PQ results, and if you can't see archived finds, then you won't know for sure if you qualify for many challenges. If you analyze the results of your Finds PQ, or get a search list result showing archived finds, then that's more reliable for testing challenge qualifications. Thanks for all the terrific feedback so far, everyone! Keep sending the bug reports and feedback as you use the map! The development team that is working on the new map experience is currently operating on a two week sprint cadence, with the goal of releasing new map updates at the conclusion of the sprint. During that update, I will be posting in this forum the 'release notes'; detailing expectations on what you as a new map user can expect to see. For your specific feedback regarding features that are currently not available in the new map experience, please be sure to understand that we hear you and are paying attention! In essence, we are performing this slow rollout to not only get signals and reports on how the new map and search experience is working from a technical and monitoring perspective, but also to understand from the community what's working, what's not, what could be better, and how. All of these inputs influence the team's backlog of work items and the corresponding priority to build and launch these features. For example, we as a team felt like the ability to dismiss the left hand list menu was an important feature and based on the feedback we have received here in this forum, you all agree as well! As such we prioritized that user story over others and have begun work on it. Our end goal is to delight and inspire the new map user and to reach parity feature-wise with the current or "old map" where appropriate. Thanks again for your patience and feedback. Please stay tuned for our upcoming updates to the new map. The issue here is that the developers of the GME enhancements have to play catch up each time the mapping gets changed...and we the users then have to wait for the GME developers to get it working again....hardly fair to them is it? They do a great job as always....my real point is why keep changing the mapping when it works fine as it is for the majority of users? why keep changing the mapping when it works fine as it is for the majority of users? Because of some enhancements that are worth being implemented. ie (beside others): download the map's visible content. Can you translate the bolded parts into colloquial English, please? User story? 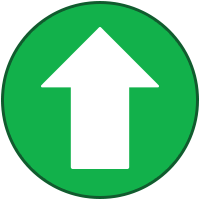 Any chance to allow those of us 'chosen few' to switch back and forth between the old & new to be able to give more useful feedback? 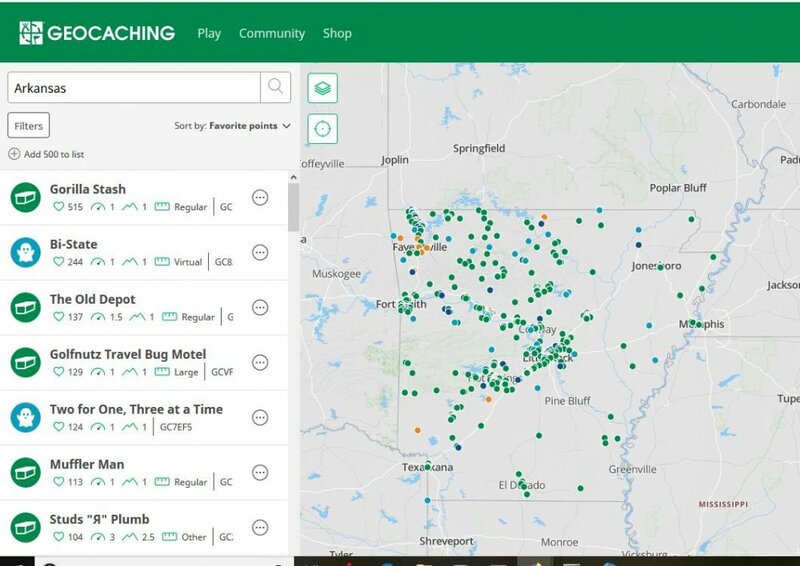 For the sake of geocaching holiness, please do not replace the old search function with this new map user experience. Allow them to peacefully coexist, if you must update the map experience. Agreed this does feel more like a map function rather than a database search option. Agreed. Please don't try to smash two separate tools together into one unholy mess that doesn't meet anyone's needs. 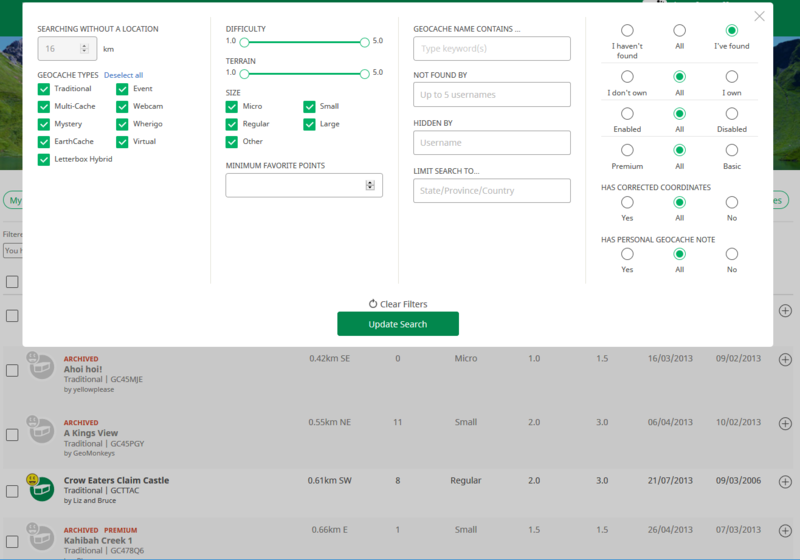 The map and list views are used in different ways for different reasons, and no one tool will be able to adequately cover all of those use-cases. ...I should also point out that if the plan was to replace the list search with this new map, then the project has already failed by starting from a faulty premise and needs to go back to the drawing board. Please don't get so deep into the process with a product that won't meet the needs of the users that you have no choice but to push forward anyway. It would be better to look over at the "make better mistakes tomorrow" poster, call a meeting, and start over. Actually what is the current Search page for most of us does. If you select "I've found" as the search option, both the list and map include archived caches. I don't know if this is still the case with the new map/search thing, perhaps one of the chosen ones could test it. Our end goal is to delight and inspire the new map user and to reach parity feature-wise with the current or "old map" where appropriate. Esri WorldImagery for satellite view that's better than Google most times I've checked. Geocaching (or is it "Trails") for most purposes; it's a good default. Hi. Jumping back in to provide some clarity on my last post. Thanks for your feedback. By 'user story' I am just referring to how we track our work. I apologize for causing any confusion. Please think of it as it being representative of a feature. We are certainly working on allowing users to move between the new map experience and the old. As noted, this will allow testers to provide a good side by side comparison. Once this is ready, it will be part of our bi-weekly deployment. If you select "I've found" as the search option, both the list and map include archived caches. I don't know if this is still the case with the new map/search thing, perhaps one of the chosen ones could test it. Sorry, I can't see a way to show finds which have been archived. There are at least 10 archived caches which I have found in this map area. That's disappointing. I see you can only hide caches I've found, rather than the opposite option of showing only caches I've found in the old search options, which is what enabled the display of archived caches before. Ah yes, right. Note - If you Map This from the Advanced Search page (which is currently inaccessible to the chosen few), the map view does not include the basic filter sidebar (only the clear filters button); in essence, the map view from the search result list is showing a static result set on the map (just like the PQ map view does) and so can show archived caches when showing caches you've found. If you go to the (old) map directly so that the filter sidebar is showing, archived caches do not show. So yes, there is the difference - and one which is certainly lost in the new map search combo. The "old" map can show archived caches when plotting the search list results (without being able to dynamically alter the search filters on the map). Otherwise both the old and new maps only show non-archived caches where the filters can be altered. I guess I'm still in need of a translator, user story is a term for how you track your work being representative of a feature? I think you are saying that there may be the possibility of being able to switch between the old & new experience. When will this be available? If this is happening bi-weekly, does it happen on Monday & Thursday, Tuesday & Saturday, or do you mean every other week? Two weeks is a while to wait. There have been some requests for comparisons between the test map and the current map. As my admin account has 'new map' and my player account current, some screenshots. Old map comes zoomed to some point in the state (central?) . 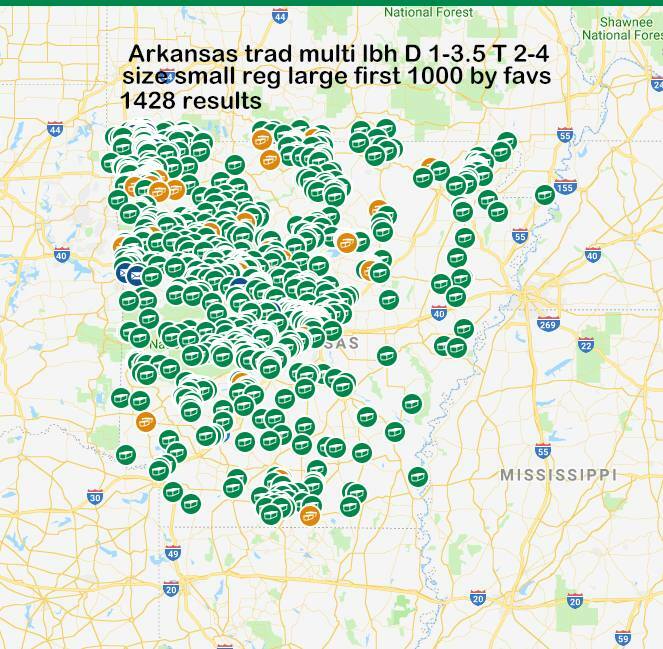 Test map shows the entire state, apparently illustrating around 500 caches, ranked on Favorites - the apparent default sort. If I alter the sort from Favorites to Oldest/Newest, the list changes, but the map only changes if I refresh the browser. Using Current maps, only the cache type filtering would be available, No D/T, No sizes, and the only filter is distance from center point. From current map, you can create a Pocket Query. It's not clear to me from brendanjw's post that staff understands that IF you've been selected to see Test Map, you CANNOT use search? At the moment, Test Map is far better than Current Map; in many ways, more selections, better tiling, the map itself is clearer, there's some immediately visible info about caches in the left margin (too much white space, bulky in the presentation, No GC Code? ) but the disadvantage of not being able use search way outweighs any benefit. I think the font is way to big in the new search side bar. There is a lot of scrolling to get to all the filters. Instead of a side bar, what about a pop in that you can activate and dismiss with a button? It's worth noting that the map is a "search field" itself, so you can search by either the keyword search field in the left margin or by zooming and panning the map. I like that visual approach, so I can see the caches in the area of interest around the center point right away. Sorting by distance is not missed that much (or not needed in this concept at all), but it requires a mind switch to a different concept of searching. It doesn't and shouldn't replace the "old" search, though. As I remember, world search was HQ's pride and joy when it was introduced, I hope it still is. I like many features of this map, it suits my style of geocaching and cache selection process well. It's still work in progress, I guess, and we should take it as such. And limiting the number of hits isn't a bad idea either. In the current map, panning at low zoom level (or in some areas even not that low) is unusable, because the world is completely covered with cache icons. Found the first thing that I really do not like.... I can't right click on Add to List to bring the Create Bookmark page in a new tab. I can still do this from the old map. Being able to add comments when adding a cache to bookmark list is a handy feature. I was opted in yesterday, so I'm just starting to look at these fairly drastic changes. I know there's a natural tendency to immediately think, "This isn't the way I'm used to doing it, it's bad", so I'm trying really hard to give this a fair test. Before I share my initial feedback, I have a question that I didn't see answered anywhere. What is this feature replacing? Is this ONLY for searches? Will the current "map" still be available? Or is the idea that this will replace both the map and the search tool? Obviously, there are features missing from the map, but I'm not sure if this is actually replacing that? Is the idea to give one interface? The sorting options are extremely limited. Two of them I almost never use (newest and oldest). In the short time I've been working with it, I already miss being able to sort by D/T, last found date, or even cache name. Often when I'm searching for things, I like to generate a list of potential caches and work off of that. I do not care at all for how the list continues to change, based on movement around the map (apparently it resorts based on the "sort by" criteria you choose. So, when I go to click on the first cache on the list, by the time I move back to it on the list, the second cache may have changed. This is VERY difficult to use when you're trying to review a list of caches in a search. It really would be very nice if you could have the cache page open in a new tab. It would be very nice if the caches could JUST be displayed in a list. It's easier to view information on a list sometimes. On the old list, I could select multiple caches and add them to a list. Here, the options only seem to be add one to a list or add all. I will share more feedback as I continue to to use it. Thank you for trying to improve things. The cache link defaulting to a new tab was a request since day 1 of testing... Really hoping it gets implemented. But I think the top priority by all this feedback is not forcing the new map view to override the listed results from the Advanced Search page. Absolutely top priority I'd say. I was unexpectedly dropped into the new map search for the first time yesterday, and I spent the first few minutes trying to figure out why San Francisco suddenly only had a few hundred caches on the map. I agree that a large city full of icons isn't very useful, but I'm still trying to get my head around the logic of visually seeing only the caches that are at the top of the list sorted by whatever happens to be the current criteria. When I'm looking at a map covering a wide area, I expect to be able to see where there are few or no caches, but instead I could only see where there were the fewest popular caches which, at first blush, I don't think is any more useful that a map crammed with icons. Yes, it is a bit strange at the first glance. I'm guessing that it's because the real usefulness, at least in the current state, is in focusing on an area of interest that covers 500 caches (somewhat arbitrary limit for testing purpose probably?) and not in the the wide area or world search approach. It makes sense to me for everyday caching. For San Francisco that covers entire downtown at zoom level 14 with some 300+ caches (if I hide my finds), which is more than enough for planning a geocaching afternoon. Likely, I'd work even at higher zoom levels when planning a geocaching outing. Current search and the new map are two different and hopefully not mutually exclusive approaches to viewing the cache database. Web Favicon on New Map Page is now consistent with all other Favicons. New map displays solved icon then dnf icon on hover, this is now fixed. The ability for geocachers to move between the two map experiences (old and new). 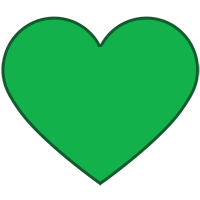 We are very excited to deliver the left hand list menu feature to the geocaching community asap, and it is almost ready. At the moment, it requires just a bit more time spent to ensure we have the animation just right. In addition to settling on the animation, we are also still considering some edge cases scenarios, and how to handle those specific situations. Fear not, you will have this functionality soon! In addition, we are exploring to how best present the various Premium filtering, sorting and searching options in the new map experience. Thanks once again for your patience and feedback. Please stay tuned to this forum thread for further updates. This would be a great time to find a better name than "Leaflet". Because as you know, Leaflet is just the brand of plumbing you use. I was really hoping for vast improvements with the latest update so I am really disappointed. There is still no map scale so the maps are useless. The speed of loading is far slower than the old mapping. There is no way to get a list of caches which shows all the information needed to pick the interesting ones. The ability to get back to what we had has been delayed into the next update. Do we have to wait another 2 weeks for this? I was prepared to give the release a chance but enforcing this new concept has made me investigate other programs. Some of them are eye-catching and will be getting more than a second look. ....and, will the search LIST result still be an option, with the choice to view results on the map to take the user to the new map? There is a method to opt out of the "new search map experience". In the upper right corner is a clickable link. Follow it to the Help Center page, then there is a link toward the lower part of that page where you can opt out. I wasn't selected for the new maps implementation evaluation, but as a point of reference, when selecting a location or region on the search page, it *suggests* regions as you type. I entered "Washing", then paused and it offered "Washington, United States (regional search)" and "Washington, D.C. District of Columbia - 10 mile radius. Selecting the first gave results for all of Washington State. Selecting the latter gave results with a *center point" in Washington DC as a radius. Selecting "United States (regional search)" gave results sorted with the closest cache to my home location at the top. I just attempted a search for a cache by CG code. I pasted the code into the search bar and clicked the magnifying glass button to search. The resulting map shows a small radius around my home coordinates, listing the caches within that map view. By determining the cache owner, and looking through their profile, I discovered that the actual cachelocation of the code I entered is in another country. - No scale on the maps, which renders them really difficult to use as a planning tool when zooming in and out over wide ranges. - Rendering the search results as a list I used to find mildly irritating, as my style was usually to click through to the map, but now I realise that I did sort that list by most of the criteria on the filters page at one time or another. Being able to toggle between the map and list views (and set one or the other as default) would be really handy. - When logging, I work my way round the map, ticking off the caches I passed on my route to make sure I don't miss any. I have to click "back" twice after logging each one to get back to the map. These two points get a +1 from me.